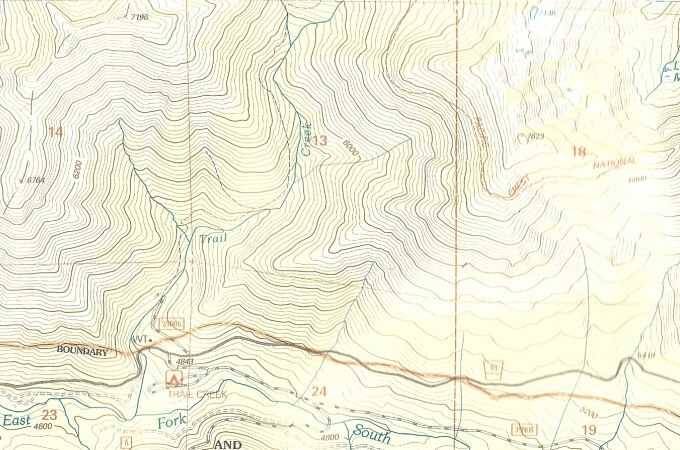 The Trail Creek Mines Group, (outlined in blue below), was considered the "best prospect in the district" by the California State Mining Bureau of engineers. Veins of ore were running up to 7ft. wide a short time prior to the Government Limiting Order L-208 (closing all gold mines in 1942) The later acquired, Bull Calf, Frost King, Original Highland Gold Mines Group (outlined in orange) were reported as being identical in values as the Trail Creek Mines.